Recently, a number of Snowy Owl sightings have been reported in Sam Smith Park. Below is an informative article from the Toronto Star (Jan 2014) explaining why so many are being seen so far south in Canada this year. "An invasion of Arctic snowy owls is moving south in record numbers, many of them taking up residence in airports. Driven by a search for food, the birds are appearing in large numbers in central and eastern Canada and the American northeast. Some are even behaving like snowbirds, traveling as far as Florida. These predatory birds don’t typically travel farther south than the Great Lakes Region. But on ebird.org, a site where birdwatchers, or so-called citizen scientists, post observations, there have been sightings as far south as the Sunshine State. 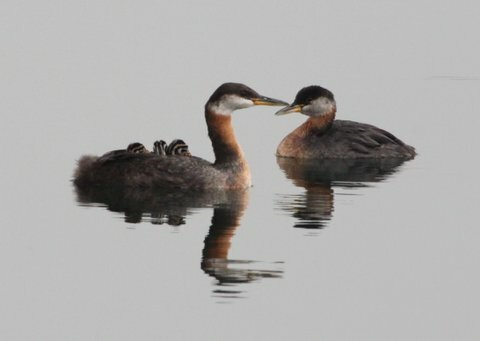 “This year’s invasion is one of the most dramatic natural history spectacles in the northeast and it is a story that continues to unfold,” according to the website run by Cornell University, a world leader in bird research. One of the more unusual accounts to the site came from someone in northeastern Newfoundland, who spotted more than 75 snowies from a single observation point and counted 206 owls on a drive down a single road. Experts aren’t sure what’s causing this “irruption,” a term used when birds migrate outside their normal range. But there are likely two reasons, says Kerr. There may have been a collapse in the Arctic lemming population — a favourite food source — or a boom during the last breeding season that has increased competition for food. Snowy owls, which start to return north in March, live in the Arctic tundra, north of the tree line. When they migrate they look for broad expanses of flat and treeless landscape that remind them of home, such as farm fields, grasslands and rocky jetties. A preferred stomping ground in urban areas is airports, because of the wide-open areas complete with grass, which are rich with small rodents. Not surprisingly, airports, including Toronto Pearson International Airport, are reporting higher than normal arrivals of the avian kind. Fifteen years ago, staff caught close to 30 snowies. So far this season, they’ve captured and relocated eight owls. Across the river in Detroit, airport officials captured that many during Christmas week. Because the snowy owl is a “high strike-risk species” and easy to capture, many airports try to relocate them, said Roberts, who’s on the steering committee of the Bird Strike Association of Canada. The snowy is the heaviest owl in North America, with females weighing an average of 2.3 kg and males 1.8 kg. Their wingspan is between 125 and 145 cms. Airports are already experiencing strikes. 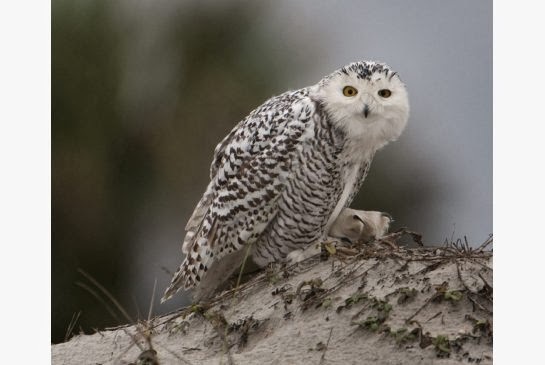 Over the span of two weeks, in late November and early December, five planes at JFK, Newark Liberty and LaGuardia airports were struck by snowy owls. Bird management at airports is a big problem and not just limited to snowy owls, said Kerr, who has researched bird collisions with airplanes. Each year there are about 6,000 of these strikes in the U.S. and about 1,500 in Canada. The issue has garnered greater attention after a passenger plane crashed into the Hudson River in 2009 after hitting a flock of Canada geese. Tanya Pulfer, a biologist with Ontario Nature, encourages anyone who spots a snowy owl to report it to ebird.org because it helps conservationists learn more about the species.